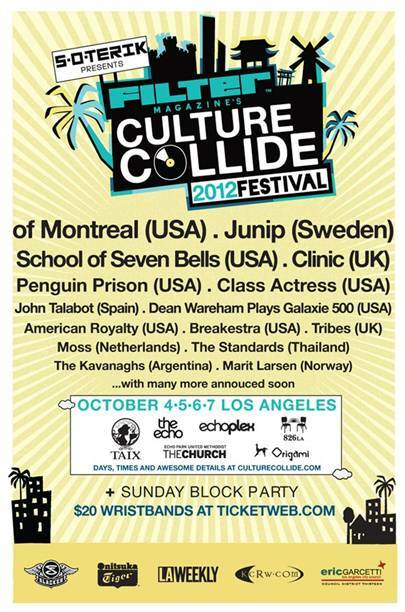 In what has to be the best (and also my favorite) music festivals of the year, Filter Magazine's Third Annual Culture Collide Festival returns in October with a stellar musical line-up that includes School of Seven Bells, Class Actress and Marit Larsen. Also headlining are of Montreal, Junip and Clinic with more additional artists and activities annnounced in the coming weeks. 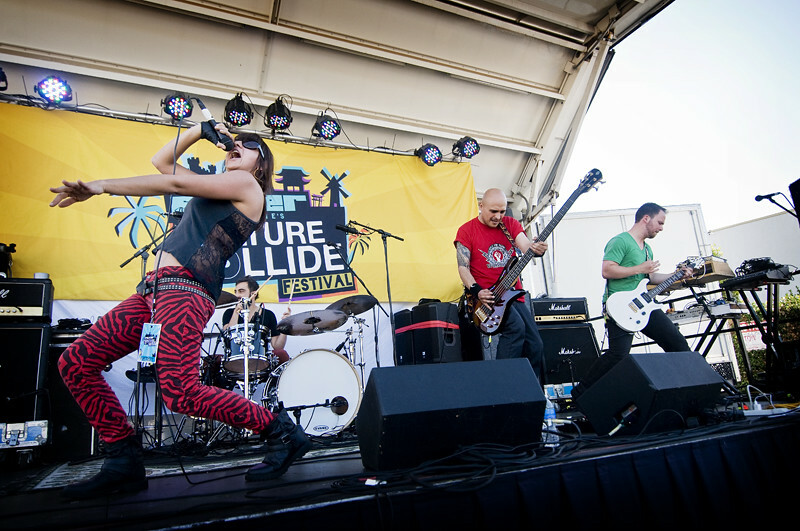 Held on October 4-7, Culture Collide celebrates and brings together musical acts from across the globe to perform in clubs and venues in a five-block radius of Echo Park that culminates in an all-day block party to close out the festival. $20 wristbands gets you into all the performances, intimate acoustic sets, film screenings and happy hours that feature free food and drinks from other cultures. Get your writstbands quick! They've sold out quickly the past two years. V for Volume performs at the block party during Culture Collide last year. 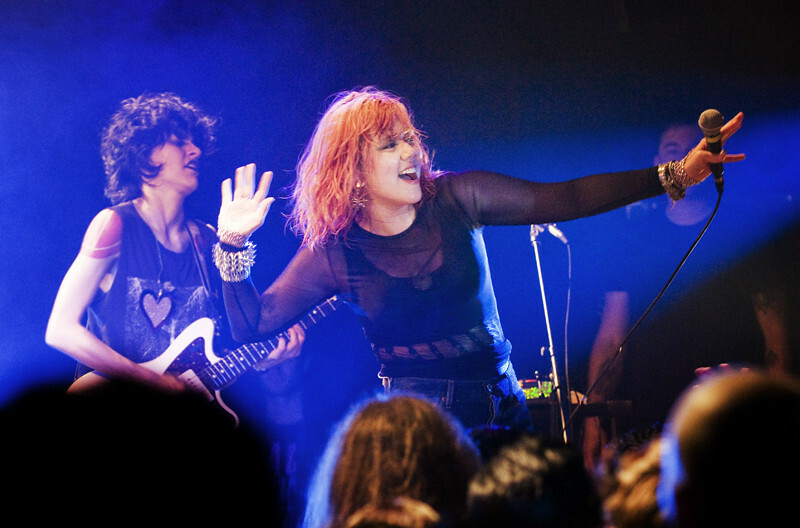 Last year, Culture Collide brought us high-profile acts such as CSS, Ximena Sarinana, Asteroids Galaxy Tour, You Say France & I Whistle, Cassette, Los Hollywood, Rainbow Arabia, and V For Volume. This, year, it's sure to be even better! Click HERE to grab your tickets and to read more on this year's Culture Collide.